We are offering an exclusive range of Tobacco Barn Thermometer which is made up with perfection to finish. 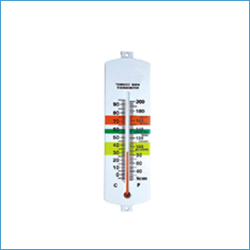 Our precision engineered range of Tobacco Barn Thermometer is used to measures the minimum and maximum temperature reading. These are available with special metal indices from last setting point. With huge industrial experience, Our strong workforce is able to provide you Tobacco Barn Thermometer. 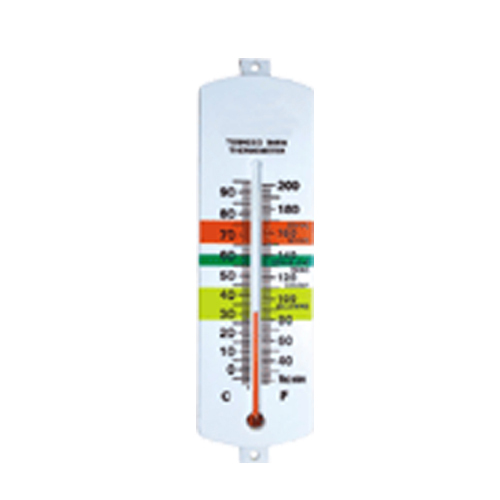 We are considered as a reliable manufacturer and exporter of Tobacco Barn Thermometer who provides you an extensive range of thermometers at very reasonable prices. These are being fabricated by our well trained workers. We have got a lot of appreciation for our high quality range which is made up with perfection to finish. It can also be customized as per the stated specification of our valued customers. We can develop according to customer's needs and requirements also. As per International quality Standards.